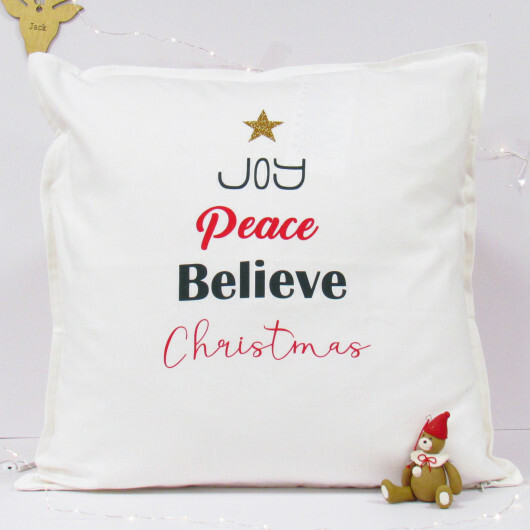 Decorating your home for Christmas doesn't need to finish with the tree why not purchase this Joy Peace Believe cushion. Cotton cushion cover perfect for adding the Christmas touch to your sofa and is perfect for getting cosy in the festive season. 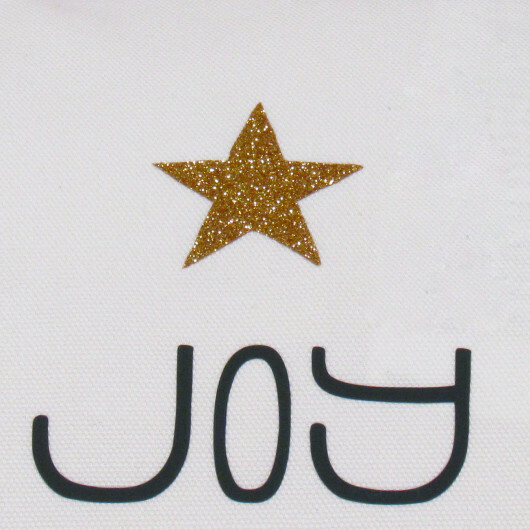 This white cushion cover is finished with a red & green word design, and topped off with a glitter gold star.